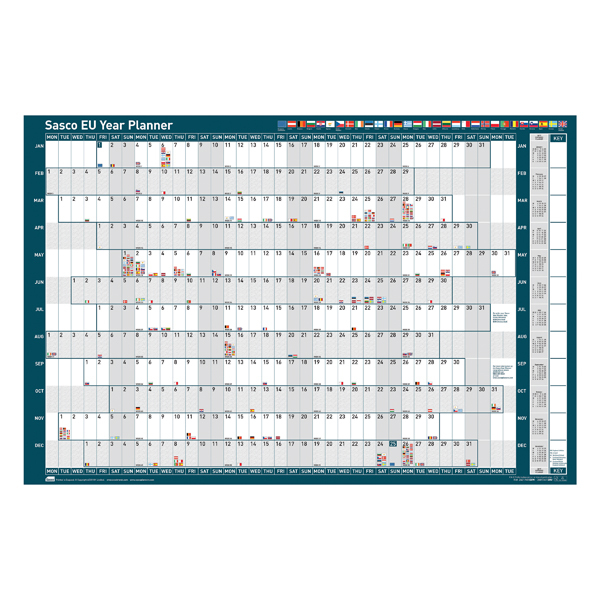 This Sasco EU year planner includes all EU public holidays, clearly marked with the relevant nation's flag. Great for international businesses, this handy planner from Sasco allows you to organise meetings, staff holidays and more for a full year. 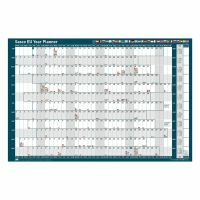 This planner is unmounted for flexible use and measures W915 x H610mm.